Australia is the home to over 700 species of Eucalyptus trees. These trees are highly valuable for several reasons, so much so that science created hybrid trees that would survive in more tropic areas in South America. Eucalyptus trees are used to create products such as honey, musical instruments, serve as food for animals, and of course essential oils. One of the most common varieties, Eucalyptus globulus, is the worldwide source for oils. Eucalyptus oil is highly potent but in small quantities can be beneficial. 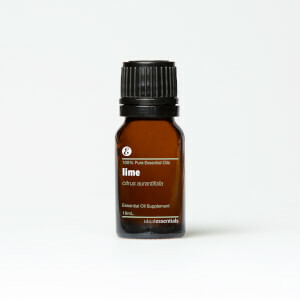 With it’s versatility and soothing properties, it may just become one of your go to essential oils. The sharp minty aroma of IdealEssentials Eucalyptus Oil may help you breathe easier by supporting normal, healthy respiratory function. It helps soothe sore muscles, can aid in relieving congestion, and may be beneficial for supporting healthy digestion. With a few easy steps, IdealEssentials Eucalyptus Oil can be combined with some of your other favorite IdealEssential Oils in diffusers, or even your favorite bath bombs. With it's many benefits and warm earthy aroma, this oil will be a staple in your home.